Last edited by RetroGuy; 06-03-2018 at 01:51 PM. Enjoy your new ride, looks like a well kept car, have fun. Nice ride.. the Mrs. Almost bought that exact same car a little while ago. It sure looked pretty sitting there. The black windows were a great contrast. If they wouldn't have sold it so quick, it would probably be sitting out back right now. Very nice looking car, congrats! I don't know what laws affect tinting out there, but I believe it's too dark to be legal here. You're correct about the tinted side windows and it being a "Fix It Ticket." The former owner tinted them. I'm thinking of removing it since I want better vision looking thru them at night. 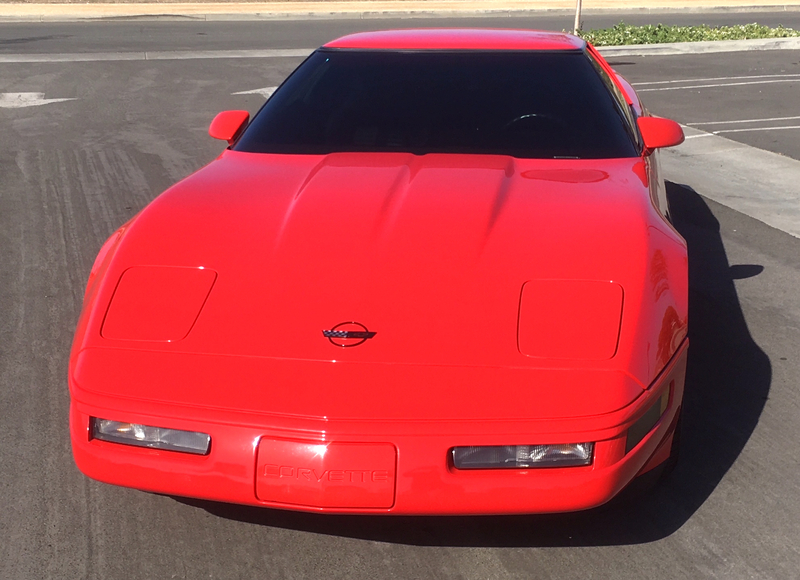 PLUS, I want to be seen in my red hot car! 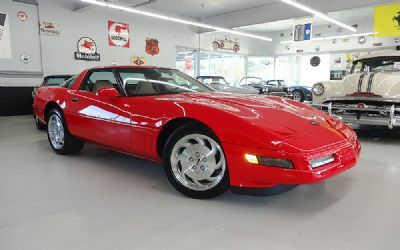 Wow that is a VERY RED Corvette! And it is very nice... Enjoy! had the same POS exhaust on my CE LT4. both muffler brackets tore off. 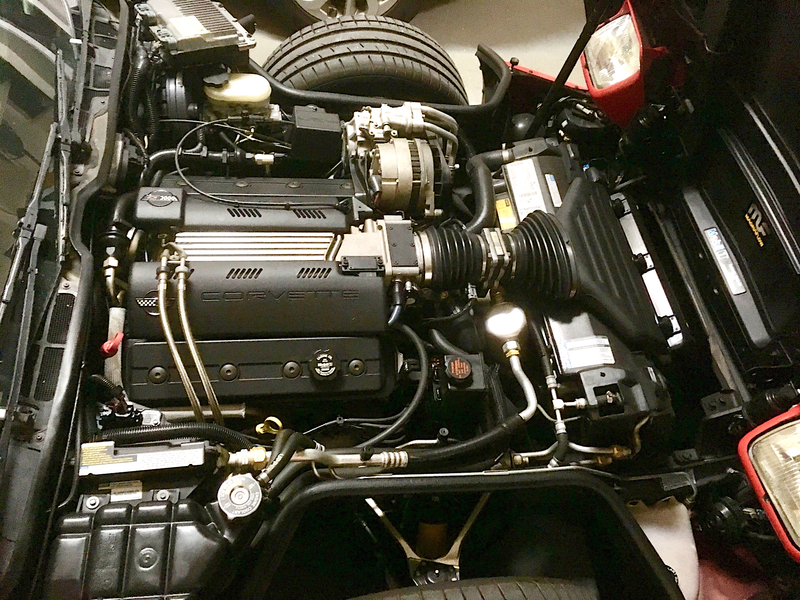 the SS muffler body is tissue paper thin, truly TISSUE PAPER THIN. tossed mufflers in the garbage. 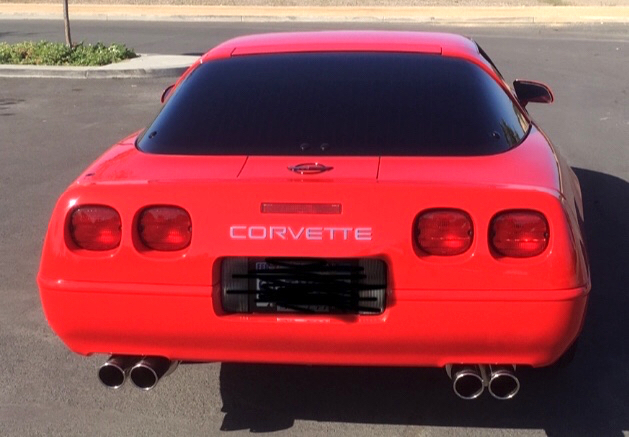 replaced with steel Magnaflow "LT 1" style mufflers, leaving the 3 inch ss center section .after a little over a year no problems so far. good luck with the new car. I'm hoping for better luck and also for better quality installation with these Magnaflows that came with the car. However, thanks for the warning. Last edited by RetroGuy; 06-04-2018 at 08:55 PM. I paid the seller the answer to this subtraction question: $64,269.00 minus $52,469.00 I figured if you really must know, you'll do the math. Last edited by RetroGuy; 06-04-2018 at 09:02 PM. Are you serious? Are you really this rude in real life too? 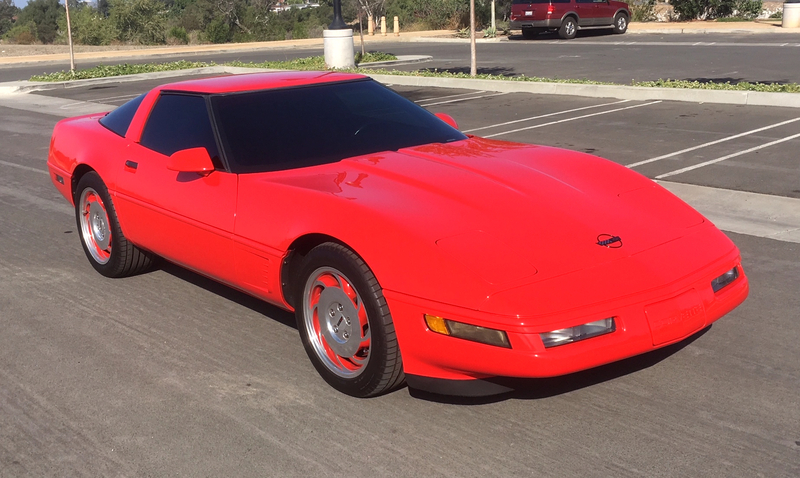 Guy comes on to show off his new Vette that he’s excited about, and the first thing you do is tell him that the exhaust (which he was excited enough about to list in the description) is a POS? What a nice guy, just being helpful right? OP, the car looks great! Congrats! And magnaflow is a great brand, all products can have bad luck examples. Enjoy your new car!